When Amy prays for help, Loki isn’t the savior she has in mind. Can a nice midwestern girl trust a so-called god of mischief and chaos? With an ancient power calling him, can Loki even trust himself? A moment’s compassion draws history student Aria Forsyth into a conflict between human and inhuman, natural and supernatural, and she begins to discover the secrets of the Empire, the Fae, and what it means to be human. Doctor David Lephmann is attacked when he tries to aid a shifter in trouble, and is thrust into a world of violence and mistrust where he must battle for a place among his new people. Can he survive the challenge? The Greek god of Love and the human who caught his heart—a love story that’s endured for hundreds of years. Eros is a contemporary re-telling of the myth of Cupid and Psyche. Lily was meant to become a faerie doctor, a warden of humans and a keeper of balance, but disbelief and pragmatism led her away from the hidden world and into a mundane life. But she will be forced to face the truth, and the fae, if she wants to save her family. Sam is an imp, on vacation from Hel, but when she’s blackmailed into tracking a rogue angel, her vacation, and possibly her life, might be over. A teen from New York studies abroad in Athens and discovers that vampires and demigods are real. After making friends with both, she unwittingly becomes a catalyst to an uprising led by Dionysus, god of wine and lord of the vampires. 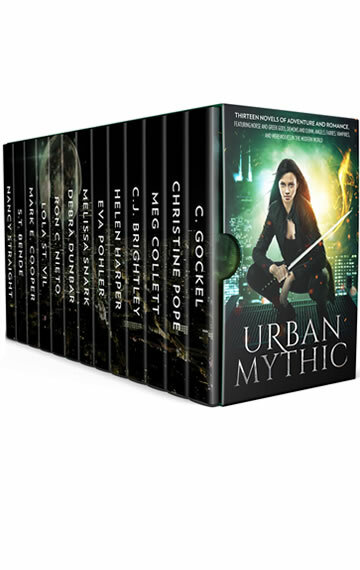 The demigods want to protect the city; the vampires want liberty at any cost. A thirty-year alliance that aligned wolves and hunters has shattered. When children are abducted, Victoria Storm, priestess of Freya and Odin’s Valkyrie, must work with her worst enemy to rescue them. Kristia Tostenson just found out her new boyfriend is the Norse God of Winter—an immortal assassin destined to die at Ragnarok. Her orderly life just got very messy. A mythological romance: Camille is denied her father’s identity until her mother’s death. She discovers a family she never dreamed of and a world that should not exist.